Nokia 3310 was an extremely popular mobile phone during it’s time. However with advent of newer colour mobile phones the old ones are discarded, but almost everyone possessed this magical phone. 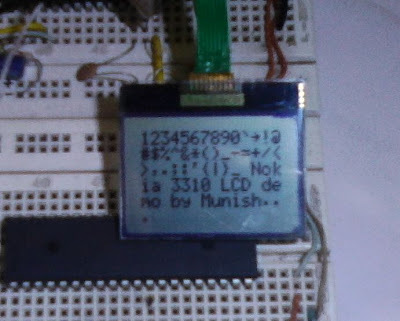 As the topic suggests we are going to interface a Nokia 3310 LCD (Type LPH7779) with a PIC18F2520. The LCD can be bought at any mobile repairing shop or can be hacked off an old Nokia 3310. Beware the Chinese LCD do not possess the entire pixels but still work pretty well if you cannot find the original. The LCD is based on PCD8544 controller, it can drive a 48X84 pixels matrix LCD. Please note that this type of LCD interfacing is different than the conventional HD44780 type LCD. The LPH7779 LCD displays pixels and the characters need to be first created in the PIC Micro Memory, unlike the 2X16 LCD where the characters can be directly printed on the screen. The tutorial is aimed at providing basic information for beginners and does not include the complex character generation method used. However any advanced user may read the datasheet for the controller and understand the method of displaying character and other commands used to initialize the LCD. The compiler used is MikroC from Mikroelektronika (www.mikroe.com) which is available for download with 2k demo limit. The PIC 18F2520 is a 28 pin device with 25 I/O Pins. It has 32K program memory and 1536 bytes of data memory along with many on chip peripherals like ADC, EUSART, SPI, MSSP, Interrupts etc. The LCD connects with PIC 18F2520 via SPI (Serial Peripheral Interface) and requires only 5 I/O lines. The setup uses the internal RC oscillator of PIC micro and no external crystal is required. The setting for internal RC oscillator can be set in the CONFIG register during setting up a new project wizard of MikroC. Inexperienced users may utilize an external 4 MHz crystal. Vout should be connected to GND via a 4.7uF (or higher) value capacitor. Note: The VDD & VSS pins of PIC 18F2520(not shown) should be connected with VDD & GND of power supply or battery. A 100nf capacitor should be connected between the VDD& VSS pins of PIC18F2520. The circuit should operate at 3 volts, a CR2032 lithium ion cell may be used. The circuit consumes very low power. A Microchip ICD2 is used for programming. 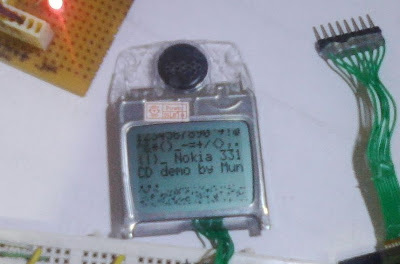 The picture shows a 18F2520 running a Nokia 3310 LCD. The setup may seem a little crude, but you can do the pruning and making it look a little pretty. nokia_clear_screen(); // Screen should always be cleared intially. Please place the two header files in the include folder of “C:/Program Files/Mikroelektronia/MikroC” before compiling the code. Submitted by haroonahmed97 on Sat, 2010-11-13 17:35. Can you please upload the code for the function to display images on the LCD with the complete procedure? Thanks in advance. Submitted by hasanen on Fri, 2010-05-21 20:30. 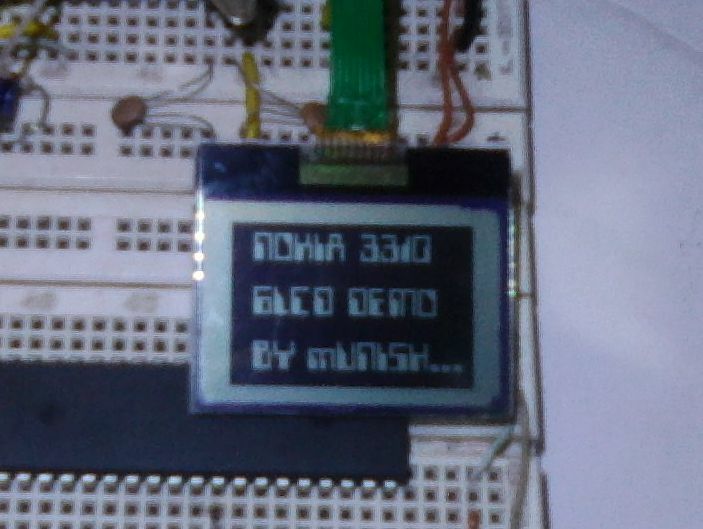 I would like to now what is the best program for simulating nokia 3310 LCD with PIC as i see in picture above? Submitted by nick1 on Thu, 2010-05-20 19:20. Wel nice tutorial,you have just explained it in easy way.I am a beginner and learning by reading and exeperimenting. Submitted by shobhitkukreti on Sat, 2010-03-06 07:59. Submitted by redlyon on Mon, 2010-02-22 17:16. Hi, I developed this circuit using a pic 16f887 and the result is great, now I want to set the display on the doors B. The pins of the gates are different because I had followed another guide who brought her in this way and had already developed the circuit. Anyway, with the pins changed on PORTC everything works, but when reprogrammed for PORTB no longer works. Submitted by munish4u911ex on Mon, 2009-11-16 19:25.
lcdcmd(0x21); // Activate Chip and H=1. lcdcmd(0x13); // Adjust voltage bias. lcdcmd(0x20); // Horizontal addressing and H=0. lcdcmd(0x09); // Activate all segments. clrdisp(); // Erase all pixel on the DDRAM. lcdcmd(0x08); // Blank the Display. lcdcmd(0x0C); // Display Normal. pixelXY(0,0); // Cursor Home. 1) I suspect it is some different controller than PCD8544 (http://www.edaboard.com/ftopic324477.html). 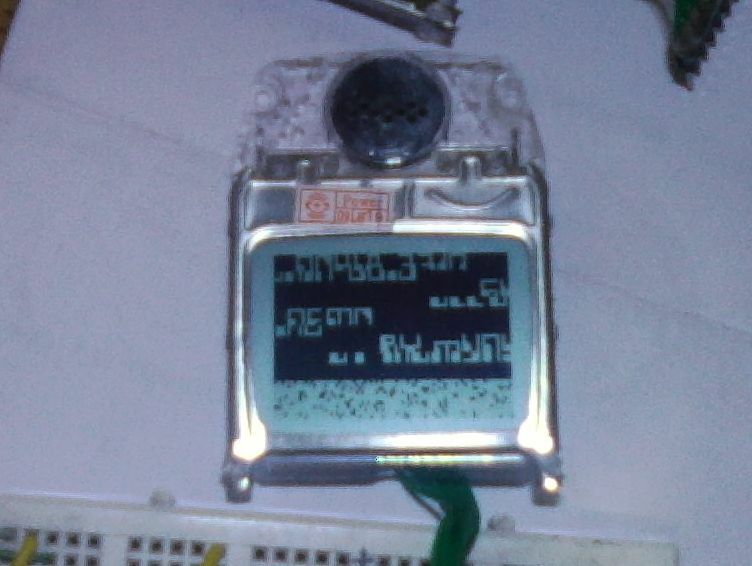 Is anyone aware of a different controller than this in Nokia 3310 LCD? 2) Is 5V safe for this LCD/controller? datasheet says 7 V is absolute max. Note:- This post has been edited by munish4u911ex at Mon, 2009-11-16 19:34. Submitted by picster on Wed, 2009-11-04 22:50. This is a great idea, which I intend to implement on my next project - many thanks! One query though: is the wiring diagram 100% correct? 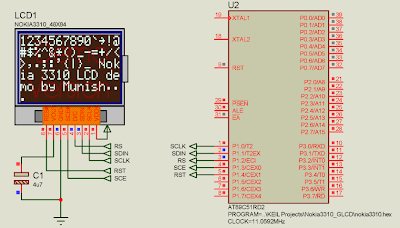 I ask because the LCD serial clock pin is shown connected to the PIC serial data out pin. Similar issues with other pins. ..unless I've missed something. Many thanks.